No she's not a princess but her name is. 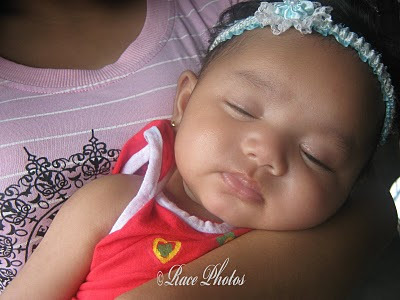 Just love this cute sleeping photo of our dear Princess when she was just 2 months old with her Mom holding her. It's actually her first photo shoot when after some clicks and shots she suddenly yawned and sleep while taking her pictures. I found her cute while sleeping so I didn't stopped. 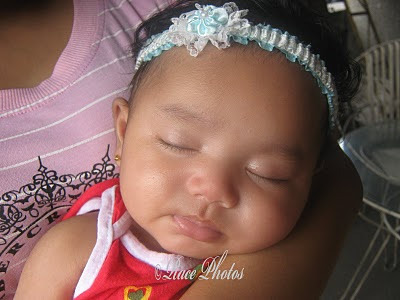 She's my first cousin's granddaughter so I'm her granny also (young granny of course lol).